I read this article and found it very interesting, thought it might be something for you. The article is called Orthodox Economics Is Empirically Invalid and Theoretically Flawed. Bring on Complexity Economics. 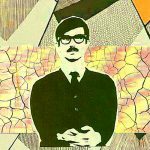 and is located at http://evonomics.com/orthodox-economics-complexity-economics-theoretically-flawed-kirman/. Yet this paradigm is neither validated by empirical evidence nor does it have sound theoretical foundations. It has become an assumption. It has been the cornerstone of economic theory although the persistent arrival of major economic crises would seem to suggest that there are real problems with the analysis. Experience suggests that amnesia is prevalent among economists and that, while each crisis provokes demands for new approaches to economics, (witness the birth of George Soros’ Institute for New Economic Thinking), in the end inertia prevails and economics returns to the path that it was already following. Both economists and policy makers had been lulled into a sense of false security during this brief period of calm. Then came 2008 and, as always in times of crisis, voices were raised, mainly by commentators and policy makers enquiring as to why economists had anticipated neither the onset nor the severity of the crisis. As soon as one considers the economy as a complex adaptive system in which the aggregate behaviour emerges from the interaction between its components, no simple relation between the individual participant and the aggregate can be established. Because of all the interactions and the complicated feedbacks between the actions of the individuals and the behaviour of the system there will inevitably be “unforeseen consequences” of the actions taken by individuals, firms and governments. Not only the individuals themselves but the network that links them changes over time. The evolution of such systems is intrinsically difficult to predict, and for policymakers this means that assertions such as “this measure will cause that outcome” have to be replaced with “a number of outcomes are possible and our best estimates of the probabilities of those outcomes at the current point are…”. Consider the case of the possible impact of Brexit on the British economy and the global economy. Revised forecasts of the growth of these economies are now being issued, but when so much depends on the conditions under which the exit is achieved, is it reasonable to make such deterministic forecasts? Given the complexity and interlocking nature of the economies, the political factors that will influence the nature of the separation and the perception and anticipation of the participants (from individuals to governments) of the consequences, how much confidence can we put in point estimates of growth over the next few years? While some might take the complex systems approach as an admission of our incapacity to control or even influence economic outcomes, this need not be the case. Hayek once argued that there are no economic “laws” just “patterns”. The development of “big data” and the techniques for its analysis may provide us with the tools to recognise such patterns and to react to them. But these patterns arise from the interaction of individuals who are in many ways simpler than homo economicus, and it is the interaction between these relatively simple individuals who react to what is going on, rather than optimise in isolation that produces the major upheavals that characterise our systems. Finally, in trying to stabilise such systems it is an error to focus on one variable either to control the system or to inform us about its evolution. Single variables such as the interest rate do not permit sufficient flexibility for policy actions and single performance measures such as the unemployment rate or GDP convey too little information about the state of the economy. This entry was posted in Commentary and tagged featured. Bookmark the permalink. 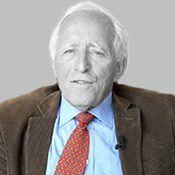 Alan Kirman is professor emeritus of Economics at the University of Aix-Marseille III and at the Ecole des Hautes Etudes en Sciences Sociales and is a member of the Institut Universitaire de France. His Ph.D. is from Princeton and he has been professor of economics at Johns Hopkins University, the Universite Libre de Bruxelles, Warwick University, and the European University Institute in Florence, Italy.